G2A.COM G2A News Features Best Cyber Monday and Black Friday 2018 deals for PS4 Games & Accessories! Best Cyber Monday and Black Friday 2018 deals for PS4 Games & Accessories! Buraku Fureydey! That’s how the Japanese say it. Which may be construed as cultural appropriation, but hopefully I’m still in positive karma. Plus I’m writing about PS4, so you can consider it a loving nod. The point is, I’m excited! And you should be too, Black Friday is like a shrine to the decadent consumer lifestyle. But I’m not here to bash it, far from it, today I embrace it! It’s Black Friday after all. 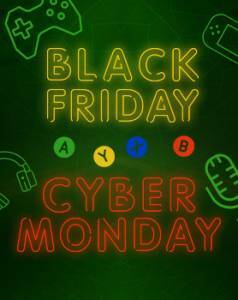 So, in the interest of being thorough, I’m going to explain to you what Black Friday and the lesser known Cyber Monday are and tell you what you can expect on this celebratory day, from G2A. Though do remember, this is a hectic affair. Our Marketplace lives by the whims of our sellers, so you have to pay attention and grab deals where you spot them. Glad you asked. It’s a well established American tradition. Even before the turn of the new millennium, the day after Thanksgiving has become an informal holiday of sorts. Shops open much earlier than usual and during those few hours drop prices to incredibly low points, in the anticipation of incoming Christmas. This means that as long you’re willing to deal with ecstatic crowds (reports of actual injuries aren’t uncommon during BF), you can snag the best possible deals in the year. Stocks are limited, perseverance is key and the air is filled with greed. 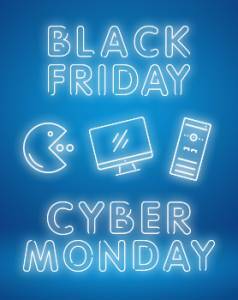 As opposed to Black Friday, Cyber Monday has been conceived as a means of making people interested in digital shopping. It follows similar rules to Black Friday, but you don’t have to deal with crowds of voracious consumers. However, stock limitations still apply, so fishing for best deals is a matter of timing. Due to the nature of our Marketplace, the latter is more important than the former. On the upside, it means you never have to risk life and limb when shopping with us. Silver linings. With the explosive growth of Sony’s gaming console and a rather impressive year behind them, it’s only natural that they would embrace Black Friday in earnest. This doesn’t only mean games, although those are of course a big part (and probably what you’re most interested in). Cyber Monday for PS4 also means other things. Most notably subscription plans for PlayStation Network and PlayStation Plus and Gift Cards galore. 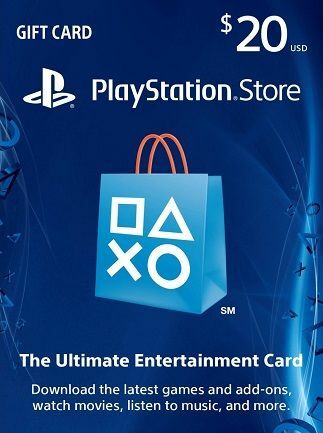 This is something you might want to take a closer look into, Gift Cards, in particular, are a very solid idea for a Christmas Gift for a family member or a friend. Smaller digital accessories include pieces of DLC, skins and PS4 themes, all of which can help to shore up a heartfelt present. And of course, there’s associated hardware as well, which includes controllers, pads, headsets, and south of everything else. Since this is hardly our specialty, deals including physical goods aren’t the priority on our site. But who knows, perhaps you can still find something. More likely than not you’ll be able to find a solid deal anyway. Are you ready for pre-Christmas miracle folks? This time of the year has come to represent a certain consumer fantasy and usually I would be railing against it, but this time I’m willing to believe the cause is good enough. You’ve been working hard the whole year. You gave your thanks to your family and friends, you’ve eaten that turkey and hopefully you’re ready for future. Keep tabs on things that interest you and remember to lurk more because deals, they are a-coming and if there’s one thing we got, it’s deals.